Call it Cloud Storage 2.0! 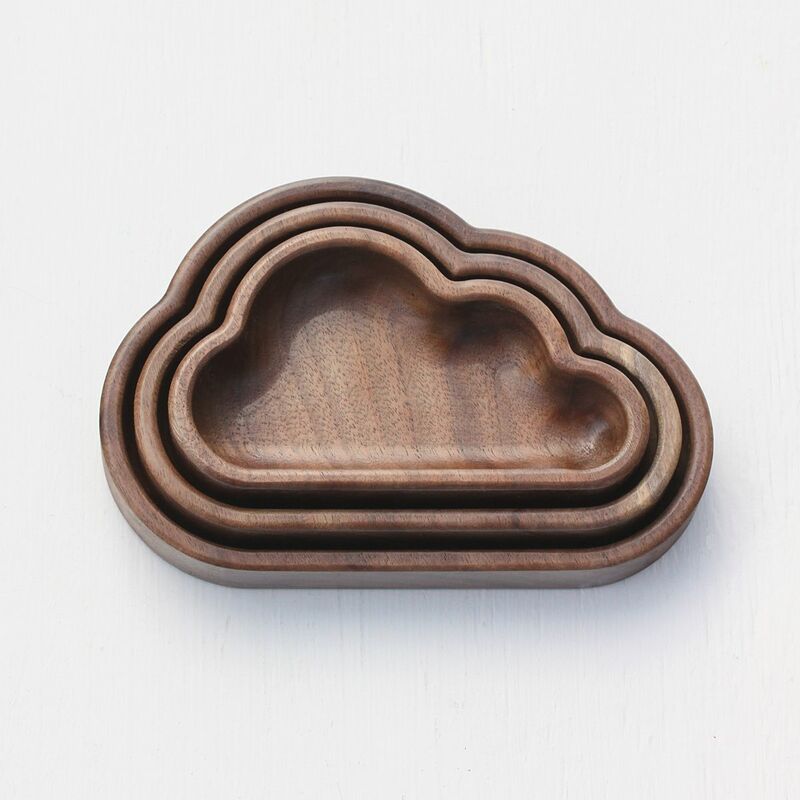 Our new Cloud Storage Stacking set is lovely and luxe, if we do say so ourselves. 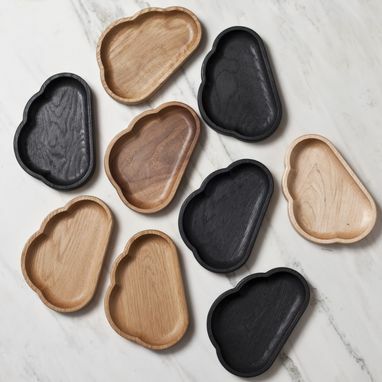 Little functional works of art, these little beauties are sleek and smooth, lovingly handsanded to a silky finish with smooth corners and a soft ½-inch radius. • Holding keys by the front door. 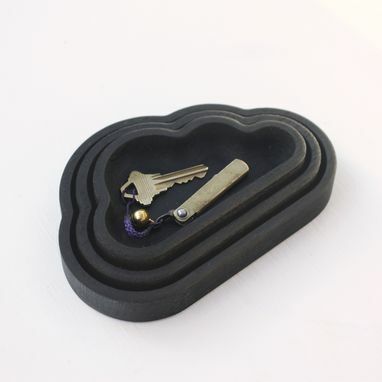 • Corralling small office supplies. 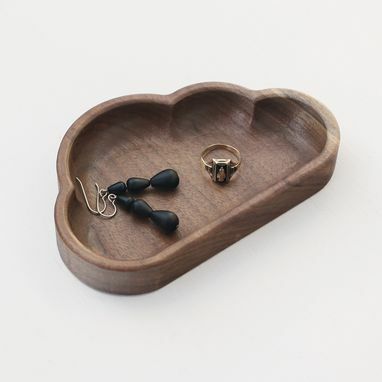 • Protecting pretty sparkly jewels or other treasures. • Holding shelled nuts or wrapped candies. • Or just to enjoy as art! 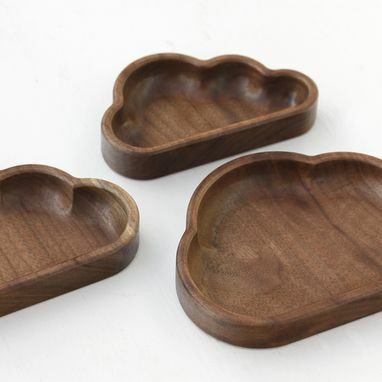 Small: 5" x 3" x .75"
Medium: 5.75" x 3.75" x .75"
Large: 6.5" x 4.5" x .75"
Order the set in a lovely deep walnut, which is clear-coated for protection and shine. Or, choose the modern ebonized oak. The deep black coloring is achieved through a natural chemical process, and is also clear coated for shine and protection. 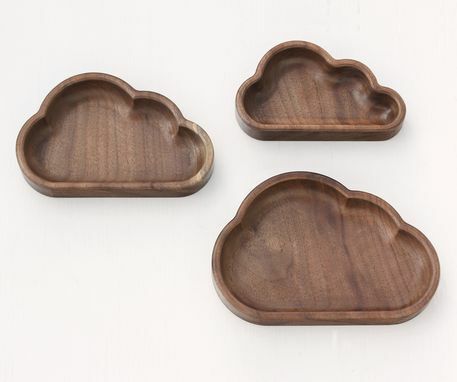 Grain may vary with each piece—that's the wonderful part of quality wood goods.